All is well! The Silver Maple is growing at last. Most of the buds along the length of the stem are now green and several have sprouted tiny leaves. Perhaps the Norse gods did hear our prayers, after all; perhaps I maligned my family and they did share their wine with the new tree. Still, I cannot help wondering why it was so late to show signs of life. Years ago, when I was planting a new garden, I had someone help me to plant a row of conifers, but when I checked what had been done, I despaired because I thought they had been planted too deep. I pulled them out and replanted them. Then a friend told me, no, the new thinking was to plant deep. Sure enough, when I checked, I found that this was, indeed, the way to go: it’s called ‘long stem’ planting, a method devised by dedicated environmentalist, Bill Hicks. He overthrew one of the basic laws of gardening that, when planting, you keep the new soil-level the same as it was in the pot. The idea is that the plant will grow a much more extensive root system, one over and above the system it has already established in its pot; and, of course, the more roots it has, the better a plant’s chances of thriving. I had this in mind when I dug the hole for the Silver Maple, but I was a little anxious when I saw that the soil was getting rather wet the lower I went, and so I dug no further. Now, with hindsight, I think should have provided better drainage and that is why the new growth is so slow. It would also have allowed me to plant the tree deeper. For now, all seems well, but I cannot help wondering (and hoping that the Norse gods are still watching over it). There is a lot of information on the web about Bill Hicks’ long-stem planting technique, if your want to learn more. Gillean Dunk has been writing about gardens ever since she made her first garden in the late 1960s. Her weekly garden column in the Sun News Pictorial ran for more than ten years and she contributed regularly to several magazines, including Australian Home Beautiful and Australian Country Style. 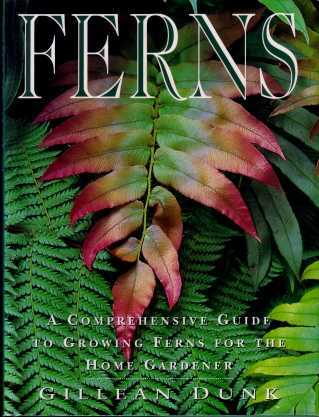 Her book, Ferns, published in the 1980s has become a classic.